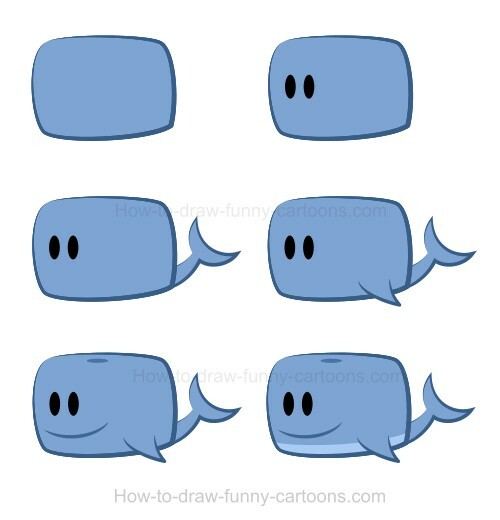 If you are having trouble drawing a whale, then you might want to give a try to this super easy step-by-step drawing lesson! This cartoon version is made from simple elements and should be easily duplicated in just a few minutes. Whales are fun animals to draw. The body is simply made of a large rectangle (with round corners) and the rest is mostly made of triangles and circular shapes. Nothing fancy, nothing complicated. Below you can see the final result. Now let's see how we can create this amazing creature in just six steps. First, we need to create the body. Like I said earlier, a simple rectangle with round corners will be fine. 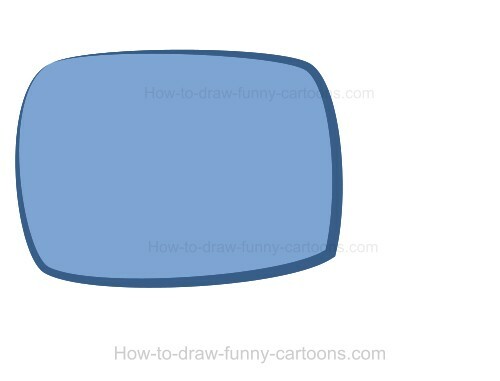 Select a fun blue color and make sure that the outline is narrower on top and wider on the bottom of the shape. I love irregular outlines. The result is simply more dynamic. Next, we need to create the eyes using two black dots. 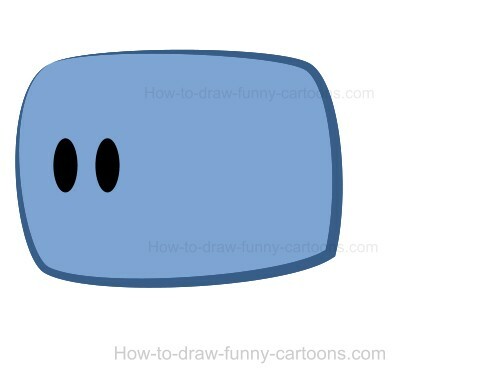 For this series, I prefer to draw simple eyes instead of using large circular shapes that are more cartoonish, but not appropriated for this type of tutorial. OK! 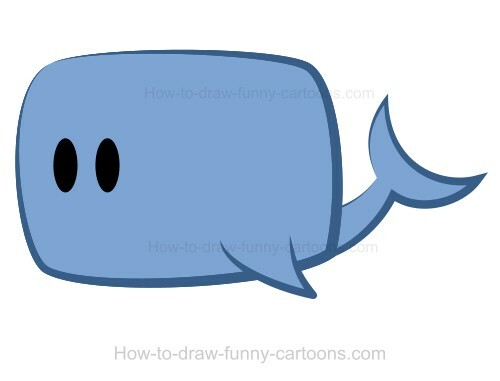 Now you can add a small tail and fins behind the whale. Once again, to create a dynamic illustration, I have created a curved tail instead of simply adding straight lines (which is quite boring!). For this step, the addition of a tiny fin on the bottom of the body is required. Keep a small space between the top of the fin and the bottom of the body. You will see in the last step why this is important. Remember when I said earlier to keep a small space between the top of the fin and the bottom of the body? That's because you can also add a lighter patch on the bottom of the body. Since the fin must be over this patch, it is important to draw this fin a little higher on the cartoon animal.